Customs and Border Protection (CBP), a branch of Homeland Security, logged about 700 covert drone operations on behalf of federal, state and local police agencies from 2010 to 2012, according to a civil-liberties group. Unmanned aerial vehicles from the CBS fleet – the largest outside of the US Pentagon - are being used by outside law enforcement agencies much more often than previously believed, according to the findings of a Freedom of Information Act lawsuit initiated by the San Francisco-based Electronic Frontier Foundation (EEF). Hundreds of missions were carried out on behalf of the Coast Guard, the Drug Enforcement Administration and immigration authorities. And in a bizarre choice of name, the drone system used to track individuals and vehicles is called VADER (Vehicle and Dismount Exploitation Radar), in an echo of the Stars Wars character, sith lord Darth Vader. More worrying, however, is that the reams of videotape being collected by the surveillance drones are not accessible to the public. CBP officials refused to provide the names of law enforcement departments for which the agency conducted drones, Jennifer Lynch, a senior staff attorney with the Electronic Frontier Foundation, told the Washington Post. At the same time, CBS policy allows for the “indefinite retention” of video data and other information that are related to investigations. Although CBP, which employs over 45,000 federal agents and officers, does not deny that it carries out drone missions for other law-enforcement agencies, it refuses to provide information regarding the exact nature of the missions. “We don’t know what’s happening with that data, and that creates a bigger privacy risk,” Lynch said. The data obtained by EEF showed that the name of the government agency borrowing the drones was heavily redacted, but CBP officials provided their own separate tally of the various agencies employing its drones. Civil rights advocates, however, fear the implications on individual privacy as the government pushes for greater drone use in American skies. Presently, drone missions in the United States are highly regulated due to safety concerns. 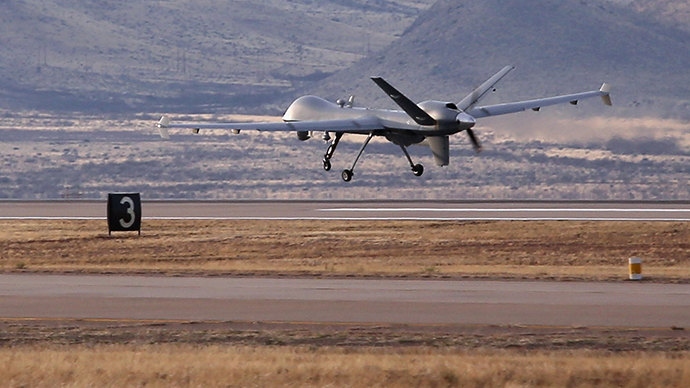 Aside from the military, CBP is the only agency permitted by the Federal Aviation Administration (FAA) to operate unmanned aerial vehicles regularly inside the country. As a result, other law enforcement agencies that lack their own drone fleet are increasingly looking to the CBP to carry out missions on their behalf, especially since the Defense Department is prohibited from using its drones in the US for law enforcement activities. This situation has led to a dramatic increase of drone traffic in American skies. In 2010, for example, CBP carried out 76 drone missions on behalf of other agencies. The following year, that number quadrupled, and it remained at nearly the same level in 2012. Overall, Customs and Border Protection conducted 687 drone missions for other agencies from 2010 to 2012, according to the data acquired by the Electronic Frontier Foundation. Outside of protecting America’s northern and southern borders, as well as over the Caribbean Sea and Gulf of Mexico, CBS lends its expertise in disaster relief efforts, the war on drugs and hunting for missing persons. Due to the technology’s powerful capabilities for spying, civil rights groups are concerned the drones will lead to the rise of a surveillance state of sorts, with American privacy being invaded at every corner. Today, police agencies are showing a marked interest in the use of aerial drone, which can fly at altitudes of 50,000 feet for over 30 hours. Many of the more advanced models, like the Predator B, include infrared cameras and specialized radar. 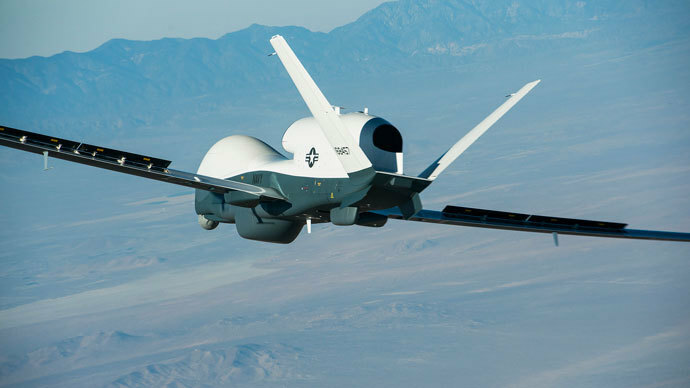 CBP has a fleet of 10 unarmed Predator B drones, which is nearly identical to the US Air Force drone known as the Reaper. The FBI and other federal law enforcement agencies have their own drones, but they are not as advanced as those operated by Customs and Border Protection. Meanwhile, proponents of the use of drone technology by law enforcement agencies argue, however, that there is no legal distinction between the use of unmanned aerial vehicles and piloted aircraft for carrying out surveillance missions. The difference of opinion has triggered a heated political debate in Congress over the appropriate use of drone technology; the Senate Commerce, Science and Transportation Committee is set to hold a hearing on the issue Wednesday.